Seed Savers Exchange: They’ve Arrived! 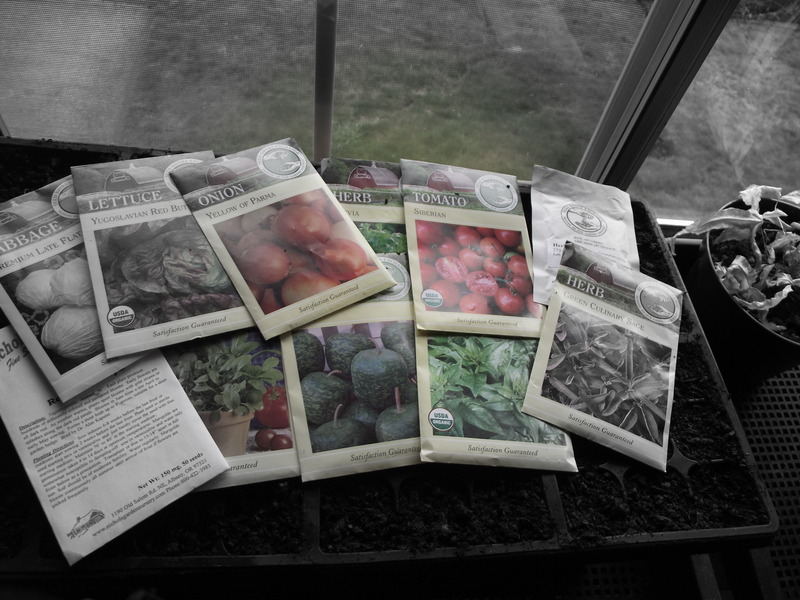 It's finally time to get some seeds in the ground and they have just arrived! We're still at risk for frost here so at least for the time being it's going to have to be an indoor operation to get this years crop going. 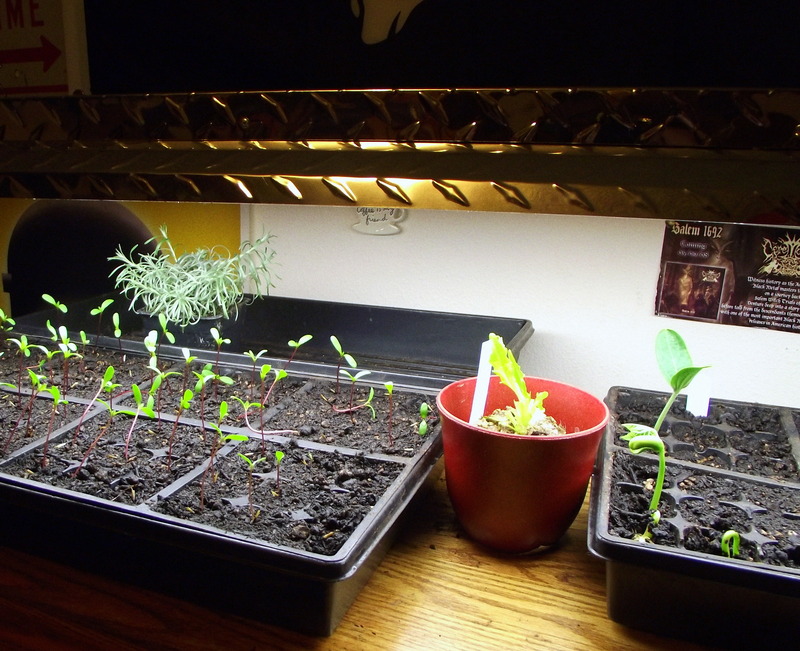 With Seed Savers Exchange giving a quick delivery I have finally gotten to start planting my garden, indoors albeit. I’m working as a goal this year to reduce my food budget by planting a sizeable garden that will keep producing until the end of the growing season. The little parcel of land that comes with the townhouse we are renting doesn’t get enough light to really be of much use for food production of any scale but for $35 and 6 hours of volunteer work I have been able to secure a community garden spot within walking distance of my house. To get seeds to turn into transplant vegetable starts doesn’t take very much I have discovered. A cold fluorescent light hanging from the ceiling on a chain gives an adjustable height light source that will cost less than $35 dollars for the whole setup. I bought start-up trays with covers that provided extra moisture for plants and a spray bottle to occasionally blast them with mist. A Compact fluorescent light, a tray or even yogurt containers and some potting soil is the recipe to and early garden. This year when I planted my seeds I didn’t even cover them with soil in their trays. One of my eccentric professors, Elizabeth Howley, explained to our class that the soil is really just their to provide even moisture to the seeds. True to form the germination rates have been nearly one hundred percent for me so far. These trays and optional greenhouse covers can be purchased almost anywhere this time of year. Just stumble into any store with a garden center and look around. Prices for the trays wont be more than a couple of dollars. My step for this week is to create a detailed plan to reduce my food budget for this year. To start working towards this I have mapped my garden and will need to make a crop schedule. I have bought a few varieties of storage onions and garlic that should last in storage and I have started succession planting greens for early spring.